Margaret George is synonymous with epic historical door stopper sized books. If you want a quick fluffy read don't look here. But if you're looking for something that is meaty with grit, rich in history with depth, intrigue as well as a setting steeped in political and cultural mayhem you've come to the right place. I have read everything that Margaret George has written though I've done it in audio book format this being my first time reading one of her books. 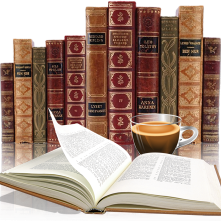 Her books are usually close to a thousand pages in length or over 40 hours in audio. 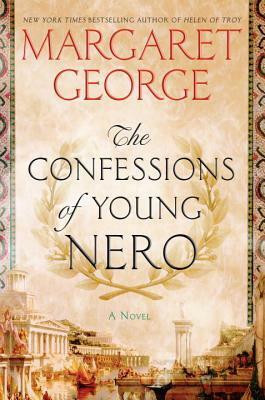 I will admit to a bit of puzzlement when I realized this book came in at only 528 pages, thankfully discovering Nero's life will be done in 2 parts, hopefully the wait for book 2 won't be too long. I know nothing about the historical figure Nero which made this all the more enjoyable. The Confessions of Young Nero begins when he is a very young child. Watching him grow up in the environment he was in made it all the easier to connect with him and to really get a sense of who he was turning into. To understand what made him tick and why. As always Margaret George captured the essence of Rome here, I loved how Paul of Tarsus made an appearance as well as the earthquake in Pompeii, even the fight for Britain with Boudicca showed the far reaches of his empire. While at times more interested in the arts Nero was a very interesting character and I can't wait for the conclusion to his story. I love Margaret George and count a few of her books as some of my all time favorites. 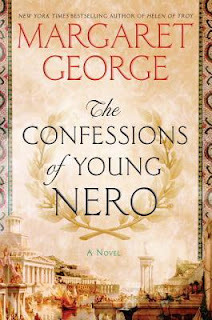 While I enjoyed Confessions of Young Nero, there were times , particularly at the beginning of the book, where it was difficult to ascertain Nero's age based on the dialogue. The way Nero spoke, I thought he had to be at least a teenager, since I knew he was not of age yet. Then to learn he was only seven years old threw me a bit. I know that he was always surrounded by adults, but it felt like he spoke more like a scholar than a boy. I read this book in December through Penguin's First Read program and have been waiting for reviews to see if anyone else felt the same way. I would love to hear your thoughts. I had heard about the age thing before I started the book so I was prepared for it. I think I got so absorbed in the story that I forgot about it. But it is one of the reason I didn't give it 5 stars. I think I would have loved one big book verses having to wait for book 2 to come out.